I am well into my “plan to take over the world” and things are progressing nicely. I have been working hard to be consistent in my focus and DILIGENT in my pursuit of my goals. The radio show is off to a strong start and the Growing HOPE show will soon be launched over at Alive in Christ radio. Taking little steps, on a consistent and persistent basis, really do make big differences. It is exciting to watch and exciting to be all wound up in the middle of it. I could never accomplish all that I want or all that I see without you. You are the reason behind the journey in the first place, although my husband swears I would still talk even if there was nobody to listen. But you are here. You are making my journey a little easier by doing your part. And you are doing your part with perfection – engaging more on social media and visiting the website more than ever before. 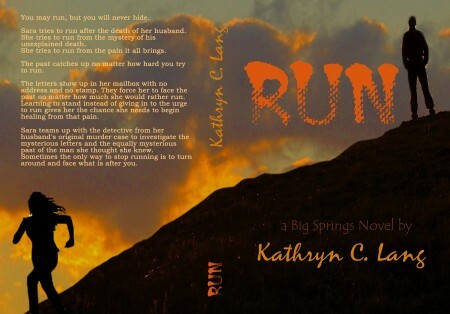 As my thanks to you, I’m giving away free downloads of RUN – the first Big Spring novel – based on the not so true and not at all true stories of the sixth most dangerous city in Alabama. Want you copy? Just sign up today and you will receive a coupon to allow you to download your free copy. Be sure you stop back in and let me know what you think about the story. I look forward to your comments.